“Would you like to come back to the Gallery for a cup of tea?” Ralph asked as we were zipping up our jackets and about to head out into the cold Irish winter night after being politely told it was closing time by the owner. Lex and I looked at each other perplexed and amused. Perplexed as we’d never been asked that before at 2am after a session in the pub. In fact the last time a couple of lads had asked us back to their house the invitation rang along the lines of “beer, vodka, cocaine?” Amused as it seemed such an ”Irish” invitation. They sure do love their tea. How could we pass up such a disarming proposition? 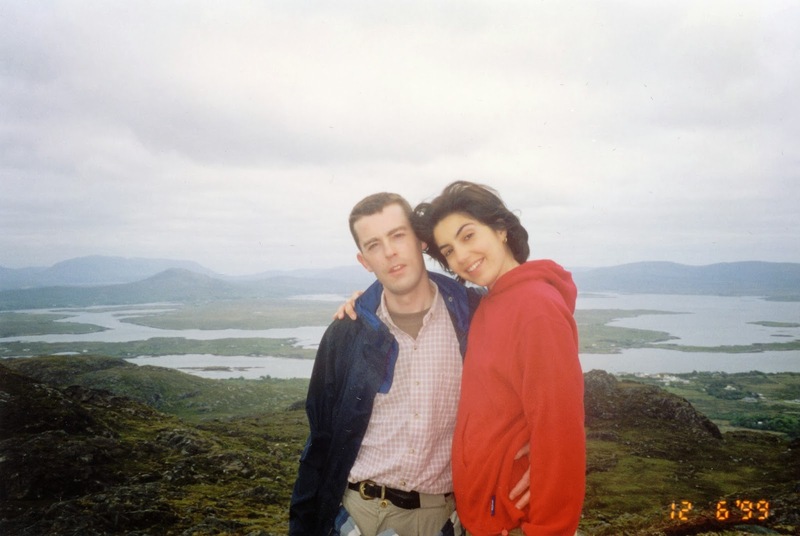 I was 1999 and Lex and I were in the isolated town of Clifden on the west coast of Ireland. 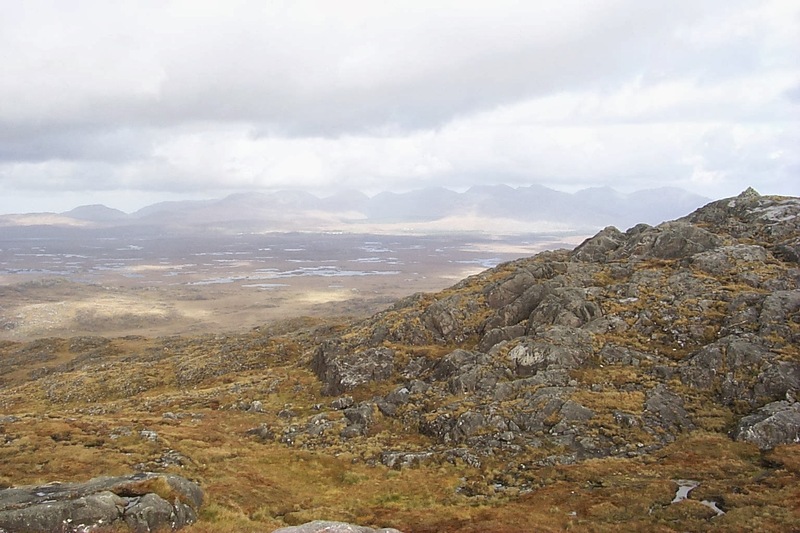 The region is known as Connemara and is a wild landscape of mountains, bogs and lakes. In summer it is a medley of green and blue with highlights of yellow gorse and purple heather. As winter approaches the bog grasses fade to rust and the lakes reflect the grey skies. Perfect weather for the pub. 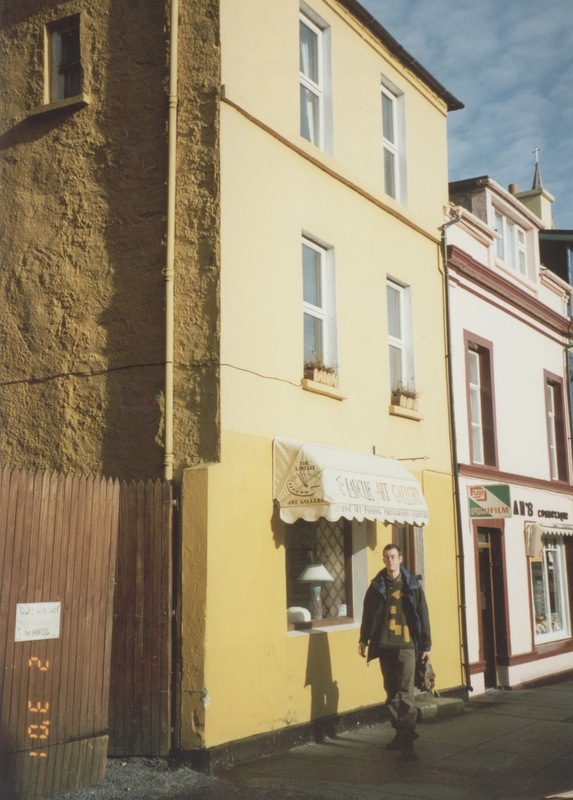 Inquiries at the reception of Leo’s Hostel resulted in us walking down Main Street to The Darcy Inn together with an american girl who was riding her horse around Ireland. We didn’t bring the horse, naturally. That would have led to way too many jokes. Apparently on Thursday nights in winter there was a regular musical session at the Darcy. Not your traditional Irish music session, of which we had heard plenty as we travelled around Ireland, but a gathering of people playing their favourite songs no matter what the genre. Ralph, together with his friends Noel and Martin, were sitting up the back of the pub playing their guitars. Around us an eclectic mix of locals and French, US and Aussie travellers, some chatted, others listened. We made our way to the bar, ordered a Guinness and waited while it settled. As more people arrived the music turned into a jam session. The evening progressed and a Frenchman played the blues harmonica, an Israeli played guitar and an American girl sang. Ralph and his friends played their favourite covers and some of their own songs. The lighting was dim with candles on the tables and a peat fire burning in the fireplace. This was a world away from our experience of going to the pub in Australia. Sometime, during the evening, we’d gotten chatting to the boys and when the tea invitation came we couldn’t see any reason to say no. Ralph owned an Art Gallery a few doors down and soon the tea was steeping amongst the landscape paintings and we were discussing Kafka while listening to Spiritualized. Lex gave Noel yoga lessons and Martin was telling us about life as an Irish emigrant in Boston. The evening ended in the early morning. We left tired, elated and wistful at what might have been. I did have his email though….